Playing the spot market with freight rates on fresh produce is common with owner operators and small fleet owners. However, refrigerated fleets for years have often negotiated seasonal, if not year around rates. 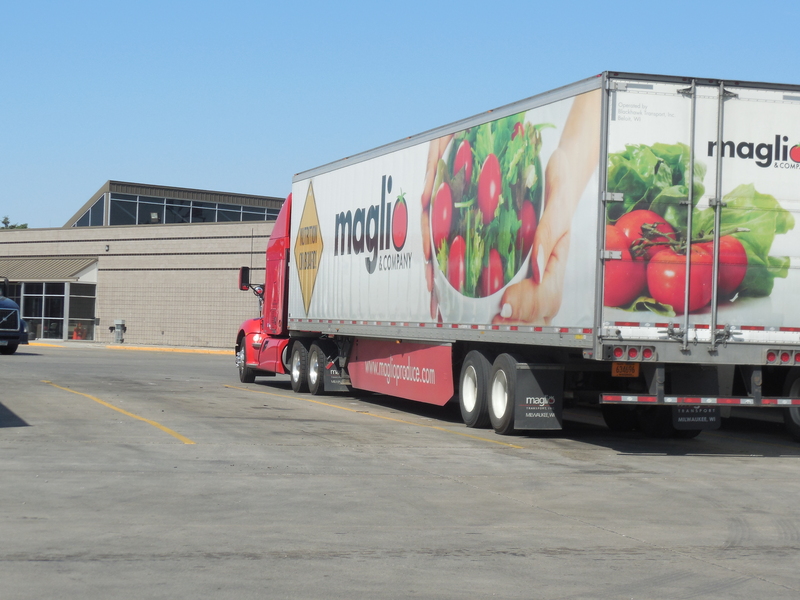 The fleets see advantages to having more predictable produce rates with higher rates in the slower winter months, but lower ones during the peak shipping seasons of spring and summer. However, record produce rates this past year has changed ways of doing business, not only for the fleets, but the produce shippers. For example, uncertainty surrounding freight rates has resulted in some Idaho grower-shippers of potatoes to shy away from quoting delivered prices for potato price contracts. Sun-Glo of Idaho Inc., in Sugar City, has chosen not to take on the risk of volatile transportation rates by quoting delivered prices. The company has found trucking companies refusing to quote set rates, because of the uncertainties in trucking. If those fleets are unwilling to take the risk of contract rates, then the grower-shippers are not going to risk giving delivered prices. Much higher truck rates have occurred, at least in part, by the implementation of electronic logging device (ELD) regulations last year. Higher truck rates is one of the biggest complaints of grower-shippers. Instead, companies such as Sun-Glo are quoting prices for their potatoes, something which they are in control. Other shippers are doing business in a similar fashion. Wada Farms Marketing Group LLC of Idaho Falls, ID has indicated it may lose some customers this shipping season because Wada no longer is offering a delivered price contract. 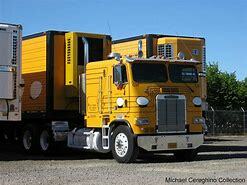 It has some contracts with trucking companies to haul potatoes, but it is on a month-to-month contract basis. Six month to one year contracts with truckers has become a rarity. 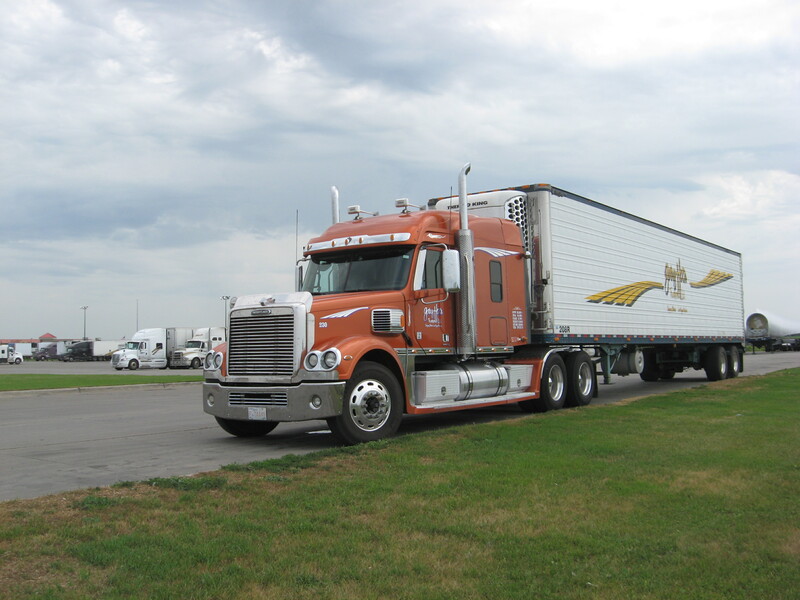 Since Wade Farms cannot get seasonal or yearly contracts with trucking companies, it is avoiding offering delivered price contracts to customers. Wade Farms has even inserted some flexibility clauses into contracts. For example. if there is an extreme shortage of trucks or holiday overages, it is not locked in to the same price. Shippers have long complained of retail chains driving down prices on the produce they purchase. Potandon Produce LLC of Idaho Falls, ID has pointed out in the current truck rate environments, some retailers are looking to drive down f.o.b. prices to maintain delivered costs. In a effort to cut shipping costs Potandon say if offers potato buyers a premium Idaho potato, or it can source spuds from 16 other states which may be closer to their customers. The company continues to seek alternative shipping methods to cut costs. Potandon is still offering customers delivered prices and says it has the advantage of an in-house transportation department which is in constant contact with freight carriers to get the amount of trucks needed. Trucking produce rates set some historic highs during the summer. While rates have declined since then they still remain will above the level of 2017. For example, Mexican citrus, watermelons and vegetables crossing into the Lower Rio Grande Valley of Texas were $4800 to $5000 in mid August compared to $7800 to $8500 in the middle of June. Salinas-Watsonville vegetables and strawberries were grossing $9100 to $10000 in mid June to Baltimore, but has dropped to mostly $8,100 in mid-August. Washington’s Yakima Valley apples, pears and stone fruit were grossing about $8200 to Boston in mid-June, off from about $7,800 in mid-August. While rates have come down from mid- and late June peaks, they have stayed high compared to previous years. Historically, summer produce rates reach a peak in May or June and start tapering off in July. This year was no different. Historic peak rates in June of $2.70 per mile had dropped to $2.59 per mile in July, which includes fuel surcharges. Still the July 2018 produce trucking rates were 25 percent higher than the same period in 2017. With the close of August no serious truck shortages from major produce shipping areas were being reported. August rates were averaging $2.50 per mile, which was still higher than any period on record prior to this year. Close observers of truck rates believe rates will continue to remain higher than in past years with reasons ranging from higher wages for drivers, ever increasing truck regulations, and a soaring economy with low unemployment. Additionally, there’s more competition for trucks from dry freight with the improved economy. With the arrival of fall comes additional demand for equipment due to back-to-school activities, Halloween and demand for perishables from foodservices entities ranging from restaurant chains to school cafeterias. Fall crops ranging from apples to pumpkins and potatoes also increase demand for trucks. 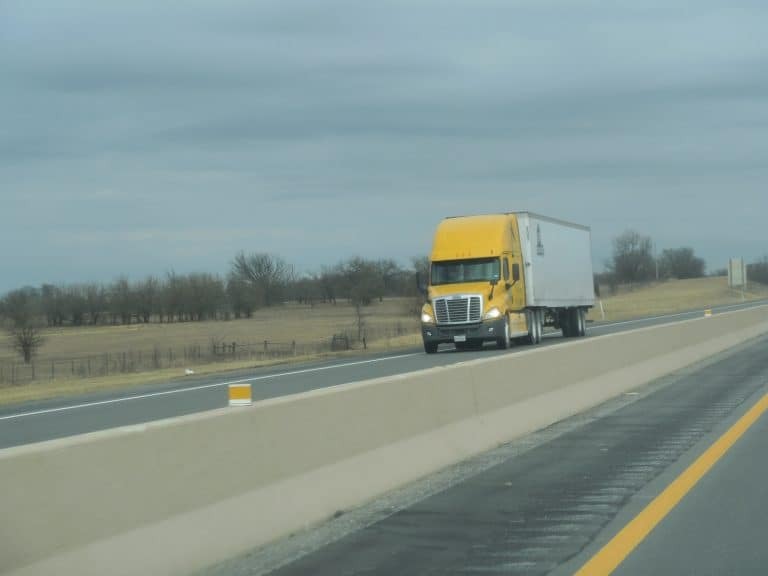 While truck rates typically decline overall in the fall, some observers believe rates will remain higher, perhaps as much as 20 percent for the same time a year ago. As produce rates remain higher than normal for this time of the year and equipment and drivers are in short supply, here is a round up of several active shipping areas in the Western half of the United States. At Nogales, watermelons crossing the border from Mexico are providing the heaviest volume as many winter vegetable items are nearing the end of a season. Over 800 truck loads of Mexican melons are being shipped weekly and volume is still increasing. Mexican tomato shipments are exceeding 600 truck loads a week, with a similar amount of cucumbers. A big crop of Mexican table grapes will be crossing the border in good volume within a couple of weeks….Lettuce from the Yuma area is quickly coming to a seasonal end. Mexican produce through Nogales – grossing about $3600 to Chicago. Salina Valley vegetables lead by broccoli, cauliflower and lettuce are in light, but increasing volume. It will help test the ability of the produce trucking industry to supply the equipment and drivers necessary when the Salinas Valley hits full stride in May, along with fruits and vegetables from the San Joaquin Valley. There’s not numbers yet, but the valley’s stone fruit volume is expected to be down significantly from weather factors. Kern County carrots are averaging over 400 truck loads per week. Many other items will be available for loading in the coming weeks. As usual Washington apples are the volume leader averaging over 3000 truck load equivalents per week…..Washington’s Columbia Basin and the adjacent Oregon Umatilla Basin are shipping nearly 700 truck loads of onions weekly and about 375 truck loads of potatoes….Meanwhile Idaho is shipping in excess of 1900 truck load equivalents of potatoes weekly. Yakima Valley apples – grossing about $4000 to Dallas. Mexican avocados and watermelons continue to cross the border at Pharr in heavy volume. Mexican tropical fruits such as mangoes are increasing, as are Mexican tomatoes. Mexican sweet onions continue being imported, but its season will be winding down and sweet onions grown in the Lower Rio Grande Valley are increasing. Mexican produce through South Texas – grossing about $5800 to New York City. T here’s a lot of talk about soaring truck rates, including produce, and how long these levels will last, considering January is typically one of the poorest months for decent rates. Nobody really knows, so it is going to be very interesting once spring produce volume starts kicking in with March. 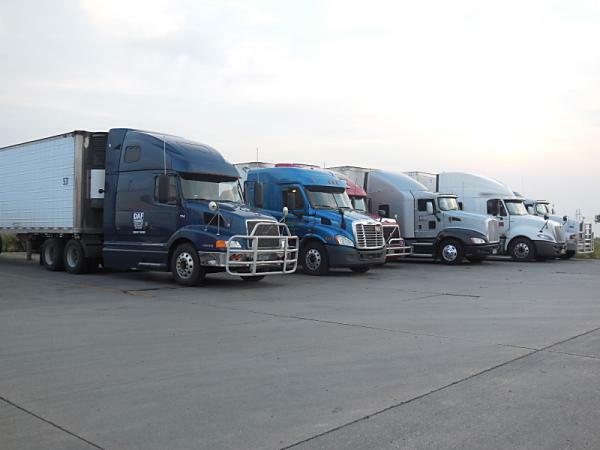 In January, some truck rates exceeded $10,000 from the Imperial Valley of California to New York City. This compares to a $6,000 to $6,200 rate in January 2017. Two years ago, the rates were $5,800 to $6,000 to New York. Florida has a similar situation where produce rates from central and south Florida to Baltimore were up 30 percent a week ago compared with the previous week, grossing $2,700 to$2,900. The same time a year ago those rates were $1,900 to $2,200, and $2,100 to $2,200 two years ago. While Florida volume is seasonally low compared to what it will be in April and May, product is moving fast partly because the Sunshine State has a significant freight advantage over Mexican vegetable shipments to many eastern seaboard markets. In the Red River Valley of North Dakota and Minnesota a bumper red potato crop is 46 percent larger than a year ago. Yet some observers believe potato shipments could be up to 20 percent more if the trucks were available. Potato rates from Grand Forks, MN are $3 per hundred weight (cwt) higher than last year to South Florida, putting the gross freight rate at $6000. Rates to Boston from the valley are up $2 per cwt. and $2.50 to Chicago. Significant credit has to be given President Trump cutting regulations, as well as the recent tax bill which is helping spur the economy. Business is booming for many. This has increased demands for transportation services, plus there is a scarcity of qualified drivers, leaving many shippers scrambling to ship sold product. There also are the adverse consequences of the electronic logging device mandate, making it difficult if not impossible to fudge on hours of service. Many see a need for changes in hours of service. For example, time spent waiting at loading docks counts against operating hours. Produce is a supply and demand business and demand simply is outstripping the supply of available drivers. Dozens of different types of produce items, led by vegetables, represent crossings at the Mexican border into Nogales, AZ, as well as into the Lower Rio Grande Valley of Texas. While produce haulers are feasting on higher freight rates, produce shippers are hoping freight costs will subside soon. Last week rates on Mexican produce coming through Nogales were higher for some destinations with driver and equipment shortages reported. For example rates from Nogales to Los Angeles were generally ranging from$1,800 to $2,000 per load, a 6 percent increase from a week earlier, but 50 percent higher than the $1,200 rate at the same time during the past two years. A few rates exceeded $10,000 from Nogales to New York City last week, but recently have dropped as much as 15 percent. Tomatoes (all types) are providing the heaviest volume at around 1,150 truck loads a weeks. About 900 truck loads of cucumbers are crossing the border each week with squash and bell peppers also having good volume. In the Lower Rio Grande Valley of Texas some shippers can’t remember such serious truck shortages for this time of the year. One citrus shipper needed 20 trucks to cover his loads a couple of weeks ago. For a six-week period ending with the first week of January, rates for citrus from the valley to L.A. have soared from $2700 to $5500. Overall, South Texas produce rates are generally up about 20 percent from a year ago. Produce rates from South Texas to Chicago have been ranging from $4000 to $5000, with the average being around $4500, still quite a strong rate. 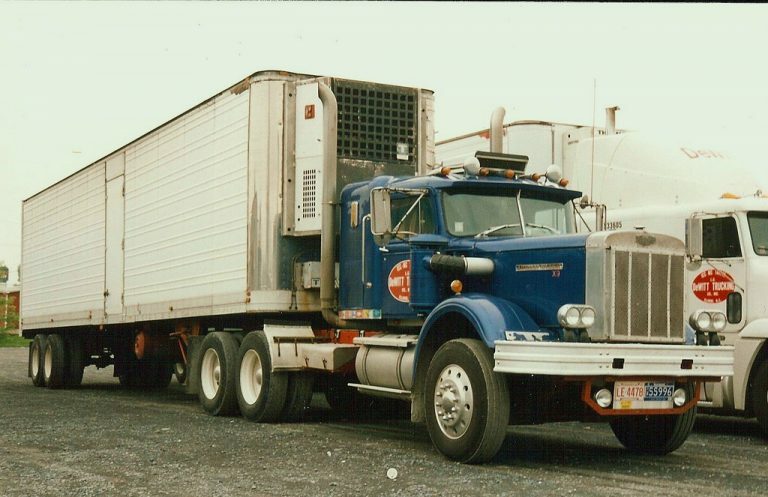 Produce haulers were grossing around $8800 to New York City. Mexican tomatoes are providing the heaviest volume with about 1000 truck loads a week, with avocados about one-half this volume. Other leading items range from limes to various types of tomatoes and broccoli. South Texas grapefruit and oranges are averaging about 350 truck loads each week. 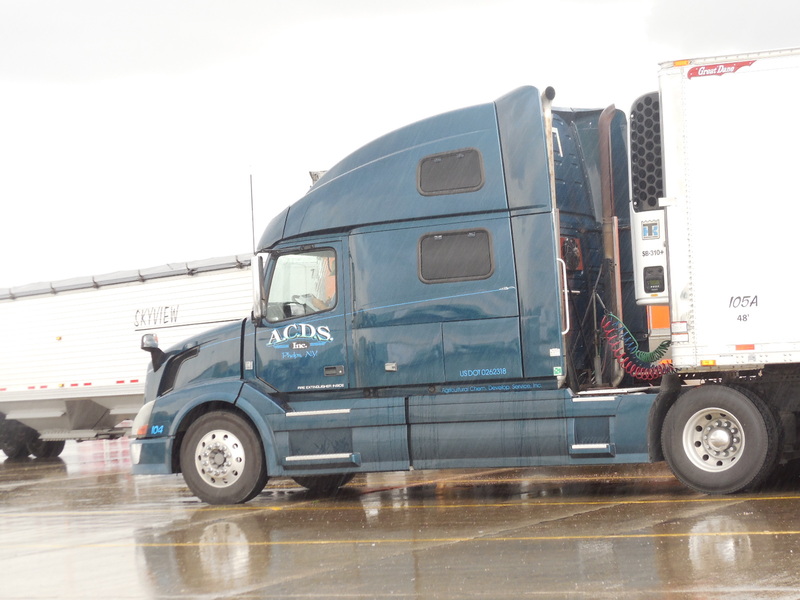 The New Year started off with good news for owner operators and small fleet owners, but had those in the produce industry anguishing over the cost of transportation rates. A few coast-to-coast rates out of California actually topped $10,000 with the beginning of January. Produce rates have soared as much as 30 percent from some shipping areas. It has caused some int he produce industry to consider rail service, something they seldom think of when rates are more in line. Depending on whether you are a trucker or a shipper and whether you have contract rates or are dealing in the spot market has a big affected on how you view the rate changes. Washington state apple rates out of the Yakima Valley in early January to Boston were grossing about $8,400, which mean an additional one dollar cost onto a each 40-pound box of apples. While produce haulers like it, not so with produce receivers. Vegetable shipments out of the Imperial Valley of California to New England led by head lettuce was grossing about $8400, about $2200 more than at the same time two years ago. Electronic logbooks, which recently went into effect are being blamed for some higher rates, although it doesn’t appear the new regulations are really being enforced, at least yet. The new devices make it more difficult for truckers to fudge on their hours of service and if adhered to means drivers can travel fewer miles per week. While it may be difficult to pinpoint the exact reasons for higher produce rates, undoubtedly an improving U.S. economy is creating a bigger demand for refrigerated equipment. Trucking is a hard life and a demanding one and with better economic conditions, many drivers are seeing other jobs becoming available, not only to make more money, but allowing them to be home more with family. Still, January is supposed to be one of the slowest times of the year for produce truckers as less volume of fruits and vegetables are generally available. If rates are ever in the tank it is often during the first quarter of the New Year. Here’s a quick look at Western produce shipments, starting in British Columbia, extending down to California and wrapping up in West Texas and New Mexico. While Washington state cherry shipments are in a seasonal decline, loadings from British Columbia are picking up. British Columbia certainly is no Washington state when it comes to volume, but the Canadians do provide decent loadings for about a four to six-week period every year. Shipments from an area ranging from Kelowna to Creston are underway with about 100,000 cases already shipped. There is an estimated 500,000 additional boxes to be shipped. The season is expected to last through the third week of August. Stone fruit shipments continue steady from week to week out of the San Joaquin Valley, led by peaches….From the valley’s Westside district various melons are being loaded, led by cantaloupe, averaging about a 1000 loads per week….Moving to the Watsonville district movement continues steady with strawberries, averaging around 875 truck loads weekly. California produce rates continue to decline, some by as much 15 percent in the past week. Watsonville berries and Salinas Valley vegetables – grossing about $6500 to New York City. San Joaquin Valley stone fruit, melons and other items – grossing about $4300 Dallas. In West Texas, the Hereford High Plains area has light, but increasing volume with potatoes, with some shippers also in Eastern New Mexico. Southern New Mexico also continues to ship onions. With the Huron shipping district in the San Joaquin Valley finished, the primary suppliers of the nation’s vegetable row crops are the Salinas and Santa Maria valleys. These two areas on California’s coast are shipping Iceberg lettuce, all the mixed and specialty lettuces, cauliflower, broccoli and celery, plus dozens of other items in smaller volumes. California now has over 500 truckloads of head lettuce shipments weekly, mostly out of Salinas. About the best thing for produce truckers this time of the year in California is fewer production areas, making it easier to get full loads due to the increased volume, plus a lot of product typically is loaded at one dock. This certainly beats wintertime when mulitple pick ups can start in Central or Southern California and extend to Coachella, the Imperial Valley and Yuma – and perhaps even Nogales. Not good. Over the next two to three months California will be in its peak strawberry shipping period with 6 million to 7 million trays or more being shipped each week. While Ventura County strawberries are in a seasonal decline, the Santa Maria district is shipping over 500 truckloads per week. Strawberry shipments are building from the Watsonville district, and will soon surpass Santa Maria in volume. Salinas Valley vegetables and berries – grossing about $4300 to Dallas; $7100 to New York City. From Wisconsin to Michigan and Nebraska; and for good measure we’ve thrown in Colorado; for a look at produce loads. Central Wisconsin potato shipments have leveled off to about 500 truckloads per week. Wisconsin potatoes – grossing about $1000 to Chicago. About the only other produced items being shipped from the Badger state are cranberries from such as areas as Tunnel City and Toma, or Babcock. There’s also some cabbage coming out of Southeastern Wisconsin. Nebraska potato shipments are averaging about 200 truckloads weekly. The Cornhusker state has two primary potato shipping areas. One is at O’Neill in the Northeastern part of the state, while the other is at Imperial, in the Southwestern are of the state. Nebraska potatoes grossing about $2125 to Dallas. Michigan potato shipments remain light, but continue to gradually increase. Michigan also has increasing volume with apples, and onions, although all these items are modest in comparison to the leading states of Washington (apples) and Idaho (potatoes and onions). There are about 300 truckloads of apples being shipped weekly, while potatoes are less than half of this volume. Michigan apples – grossing about $1000 to Chicago, while onions are grossing about 20 percent less. The San Luis Valley will become more volume as the harvest has pretty much been completed. Volume is gradually increasing and currently averaging over 600 truckloads per week. Colorado potatoes shipments – grossing about $2300 to Houston,. I’ve been asked several times recently why produce rates from several areas around the country, including California, have declined in recent weeks. Many factors seem to play into this going beyond just the demand for trucks and for produce shipments by the produce buyers. First of all, it is February, perhaps the slowest time of the year for over all fresh fruit and vegetable volume – and shipments. It has been one hellacious winter over much of North America. When it is bitter cold, with ice and snow covered streets, people tend to hibernate. They go to their supermarket less frequently and when they do, often purchase less. With a hard winter, come added expenses, whether you stay warm by using home heating oil, propane, natural gas or electricity, or a combination of these items. This is resulting in some record setting utility bills for consumers. The more one spends on necessities such as these, the less cash consumers have to spend on food. While food is certainly a necessity, it still can mean fewer purchases, as well as more selective buying of fresh produce items that are cheaper than others. Hang in there; we’ve got at least another month or so of winter weather. Until the weather improves, winter vegetables quit shivering so much, and start growing more, the winter doldrums will continue. California and Arizona winter vegetables – grossing about $6000 to New York City. Central Florida tomatoes and vegetables – about $2500 to New York City.